Moosomin town council approved a $500,000 building permit for a Tesla charging station in Moosomin at Wednesday’s council meeting, and gave its nod of approval for development of a two-storey building on Main Street that will include a design studio and a residence. The Tesla charging station will be located on Lake Avenue at the east end of the Red Barn parking lot. Five charging unit will be set up at the location. An additional unit may be added for Tesla semi units in the future. Tesla is building a network of “Supercharger” stations along the Trans-Canada Highway to allow Tesla owners to travel more easily across Canada. Until now, Tesla’s Supercharger network in Canada has been limited to enable travel between a few large metropolitan areas. Tesla is obtaining several new permits for new Supercharger stations in a large underserved part of the Trans-Canada Highway. 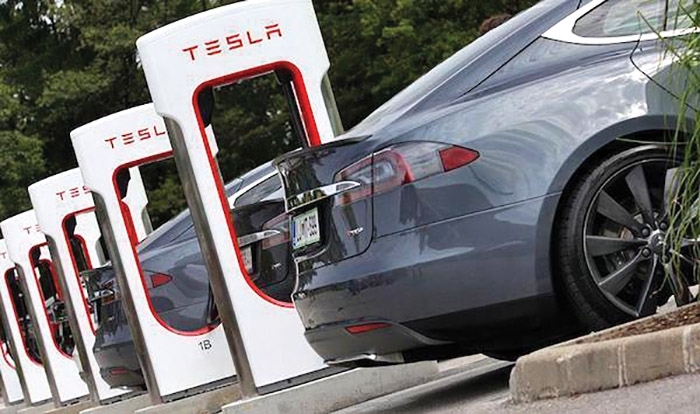 With the addition of the new charging locations, Tesla owners will be able to use the Supercharger network to travel from Vancouver to Halifax and back. Tesla’s Supercharger stations will be configured to only charge Tesla vehicles, and can charge a vehicle in as little as 30 minutes. Council was not asked to approve a building permit for the proposed architectural design studio, but was asked whether the proposed development would fit within the town’s commercial zoning requirements. There are no immediate plans for the development to move forward, but the purchaser of the lot wanted to ensure that the development would be possible in future. The lot is at the corner of Main and Windover and is the site of the former Wiebe’s Restaurant.